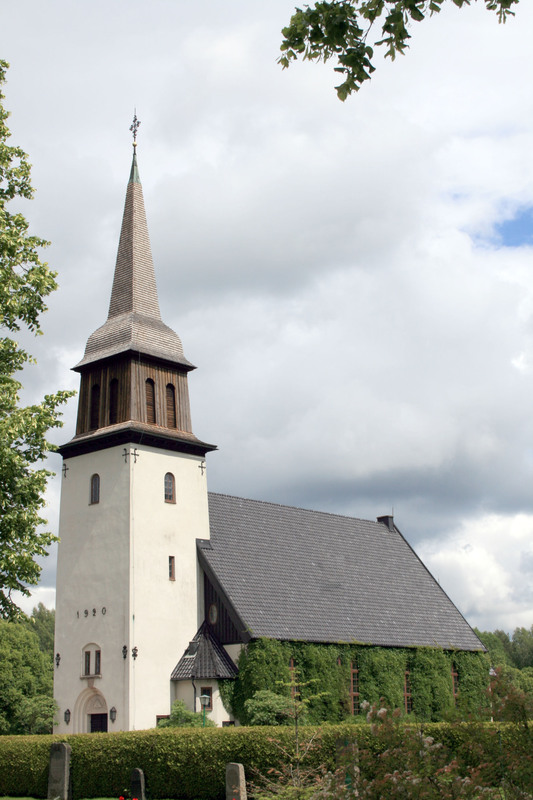 Forshaga church was consecrated March 20th, 1921 by Bishop JA Eklund and designed by Brother Almquist. The foundation is gray stone in large blocks either broken or wedged. The upper walls are plastered brick.The same construction is true for the 30 meter tower with the main entrance.